I think I started to lose count which day we baked our own pizza for dinner. The first night we had our dinner outside where we ate plenty of big scallops, fishes and calamari rings. Well, I just named it as Tasmania Day 3: Dinner to begin my story. 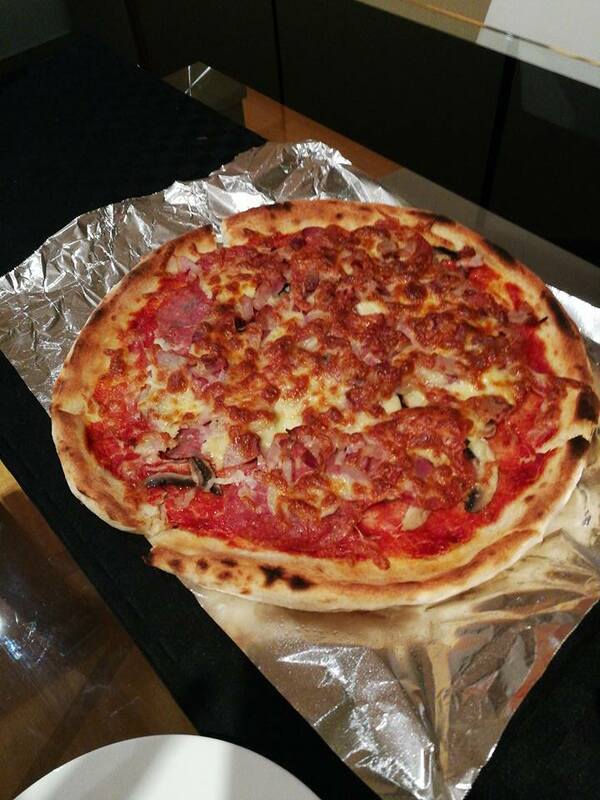 The pizza dough was brought from the Farm Gate Market on Sunday, but we did not immediately bake them on the same day. As usual, we bought all of the ingredients for two large pizzas from the nearby supermarket. The closest to us in our Airbnb’s neighbourhood is Woolworth’s. The first pizza was filled with a lot of pepperoni slices, sliced mushrooms and lots of cheese. 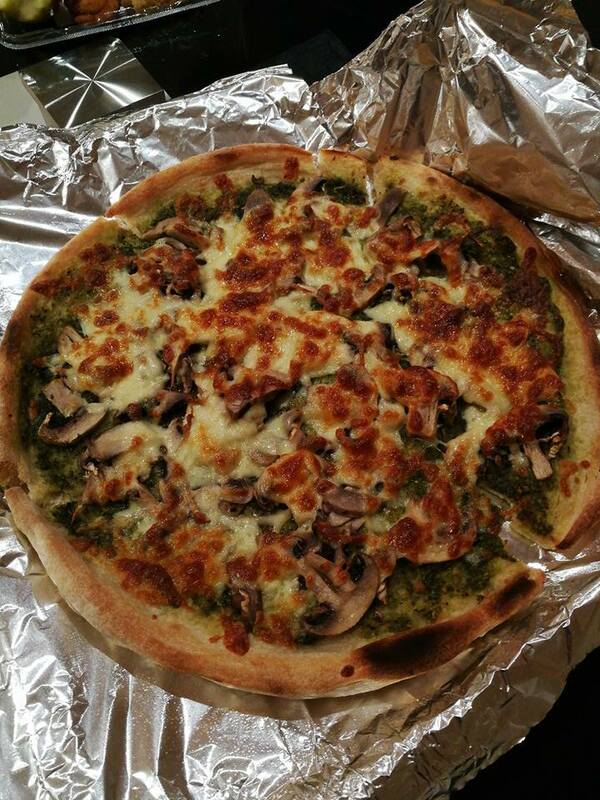 The second pizza was filled sliced mushroom and vegetable, which I think is spinach. I cannot really remember it. Both dough are thin crust and it is quite easy for us to handle and put it into the oven for baking. It is recommended to eat them straight away after being taken out from the oven. Since we were busy preparing food for the kids and ourselves, the pizza turned a bit soggy when we ate them and it was difficult to cut then into eight pieces perfectly with our knife. Maybe, we should have baked it last. 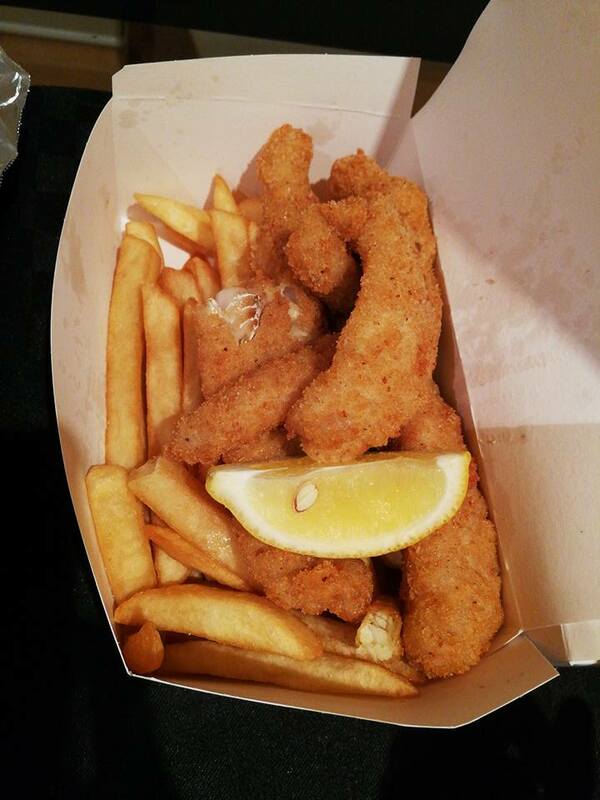 While we preparing the food for the kids which include some canned soups, the kids started eating our finger foods which we bought from the floating seafood stall, Flippers Cooked Seafood at Sullivans Cove. 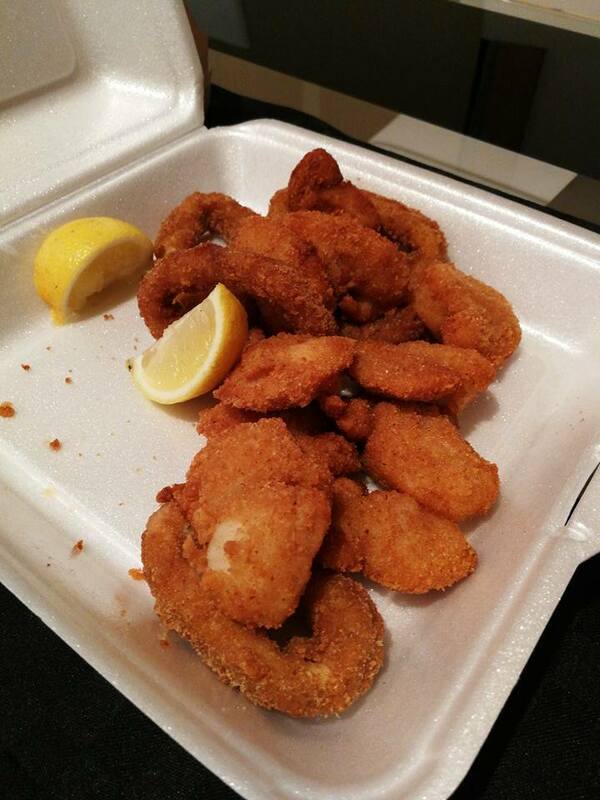 We went back to the same place to get more scallops and calamari rings for our dinner that night. Seriously, these scallops are very worth to go back to the stall and eat again. It was a long and tired day after the dinner and that night, I spent the rest of my night talking over the phone with my friend in Malaysia through WhatsApp’s call. We talked about relationship because I brought up this topic went I texted her after my shower. It was my first time I dreamed of this person and it happened on the night before, I remembered it. I dream everyday, some I can remember and many of these dreams I do not remember after I wake up from my sleep. The first words she told me upon hearing my story, she said in Cantonese, “You think about it during the day, you dream about it during the night”. I felt weird because I was enjoying my holiday in Tasmania. I did not do a lot of works or reply emails which related to this person. Occasionally, I received messages from my colleagues who talked about this person, and this person just popped up in my dream. My conversation with my friend lasted for 2 hours or more and she concluded that I might like this person due to the surrounding situation, maybe I am not truly in love. I think so.